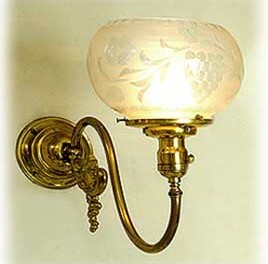 Sconces were a popular fixture for lighting the Victorian bathroom. You can bring back the ambiance of period bathroom lighting with a variety of available recreations of these traditional sconces. Many fixtures of the period were gas fixtures, or gas fixtures converted to electric. These same gas fixture styles have been recreated as electric lighting fixtures for the modern home. Here we will show you original Victorian bathroom lighting photos to compare with today’s styles to recreate a truly Victorian bathroom design. Click to see photos. Envisioning a vintage style bath design for today’s modern home that goes beyond the claw foot tub.